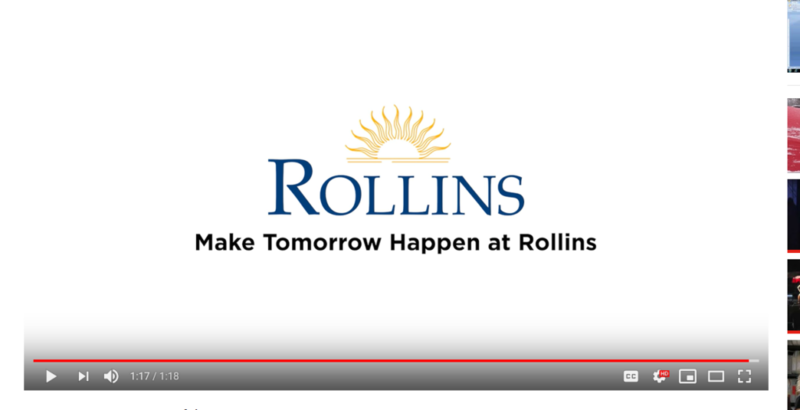 My alma mater Rollins College is a really neat school. A beautiful school. But sometimes its beauty overshadows the academics, so someone smart came up with an idea for a YouTube video to downplay the former and highlight the latter. The video is nicely shot but the script is terribly weak. Shame. Once past the beauty shots and facilities recap, about a third of the video, I began counting marketing adjectives. And there were plenty. The same adjectives any school could and would use. In fact, the same adjectives any institution, company or even brand might use. Adjectives R US. There was a good provable “idea” hidden in the copy but it was glossed over. The notion that classes are small enough to mirror post-graduate work. Sorry to say it but the video proved nothing more than a pictorial sales piece. As it stands, the video strategy “more than just pretty” lay fallow and, sadly, uncultivated. Promotion and the Human Algorithm.